POE, brackets and accessories may not be included! The HyperLink® Model HG2458CU is a high performance broadband/multi-band ceiling mount WiFi antenna designed to operate continuously from 2.3 GHz to 6 GHz. The Multi-Band design of this antenna eliminates the need to purchase different antennas for each frequency. This simplifies installations since the same antenna can be used for a wide array of in-building wireless applications where wide coverage is desired. 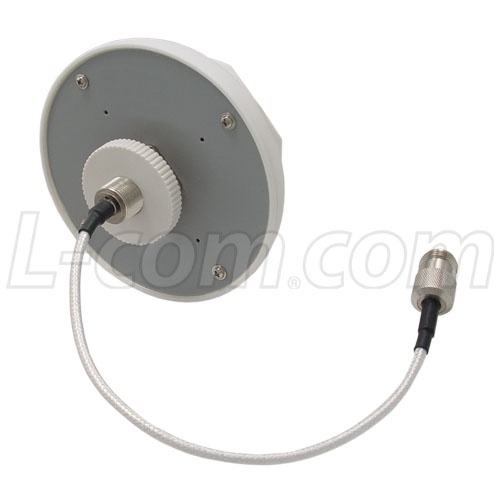 The HG2458-08LP is ideal for Distributed Antenna Systems, DAS. A DAS system is used to distribute signals operating in different frequency bands like 802.11a/b/g/n or WiMAX throughout a building or area. The compact and aesthetically pleasing design of this antenna makes it ideal for use in almost any indoor environment. 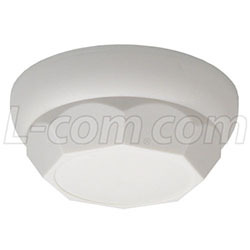 It can be easily mounted through a single 11/16" hole in a solid or suspended ceiling up to 1" thick. 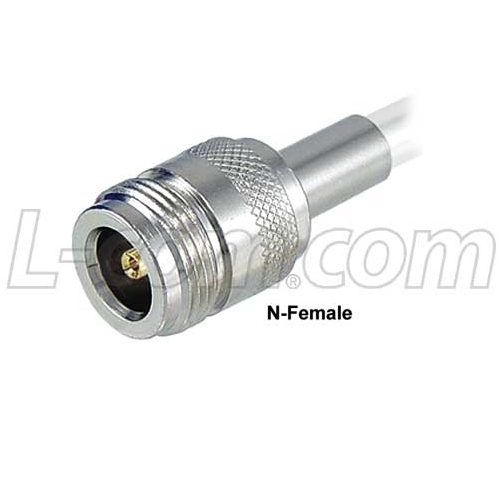 This antenna features a 12 inch coax lead terminated with an N-Female connector. Special order connectors are also available.